This is the website for author Simon Fairbanks. 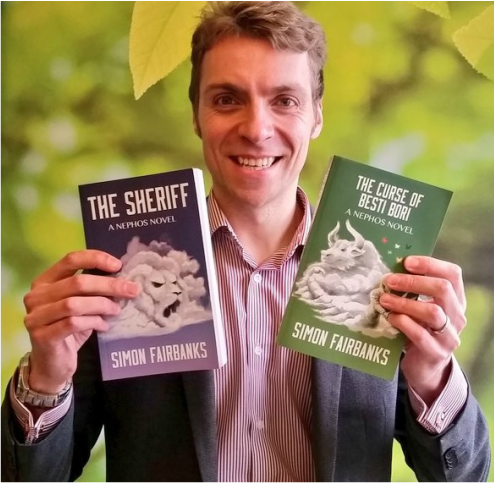 Simon's first novel, The Sheriff, was released in March 2014. The following month, it was chosen to participate in the One Big Book Launch. The next book in the series, The Curse of Besti Bori, was released in October 2015. He has written two short story collections, Breadcrumbs and Boomsticks, each containing a novella set within the world of his fantasy novels. Simon was also one of ten writers selected for the Ten To One project. Their collaborative efforts resulted in the novel Circ. Simon studied MA English Literature at the University of Birmingham and has been a member of the Birmingham Writers' Group since 2011. He lives in Birmingham with his wife Laura. Sign up to Simon's newsletter to hear more about his writing projects.